The fifth Ministerial Meeting of the Friends of Yemen was held on 7 March 2013. The meeting was co-chaired by the UK, Saudi Arabia and Yemen. 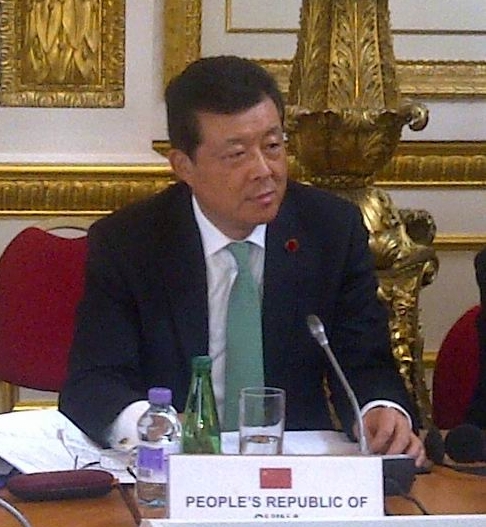 The head of the Chinese delegation and Chinese Ambassador to the UK Mr. Liu Xiaoming attended and addressed the meeting. Ambassador Liu said that the situation in Yemen concerns not only the interest of Yemen, but also the interests of the whole region and even beyond. China is pleased to note that since the Friends of Yemen met in New York last September, all related parties have made concerted efforts, and new progress has been made in Yemen's political transition, military restructuring and economic reconstruction. Ambassador Liu stated that China respects the sovereignty, independence and territorial integrity of Yemen, respects the Yemeni people's independent choice of development path and supports the Yemeni government's efforts to carry out the GCC initiative and its implementation mechanism. China attaches great importance to the Friends of Yemen Ministerial Meeting and has taken an active part in it. Last September Chinese Foreign Minister Yang Jiechi attended the fourth ministerial meeting. Early this year Vice Foreign Minister Zhai Jun visited Yemen. All these demonstrate China's support for the transition process of Yemen. China will continue to play a constructive role on the issue of Yemen. We stand ready to work with other friends of Yemen to scale up political and economic support through both bilateral and multilateral channels so that together, we will help Yemen to realize stability and development at an early date.